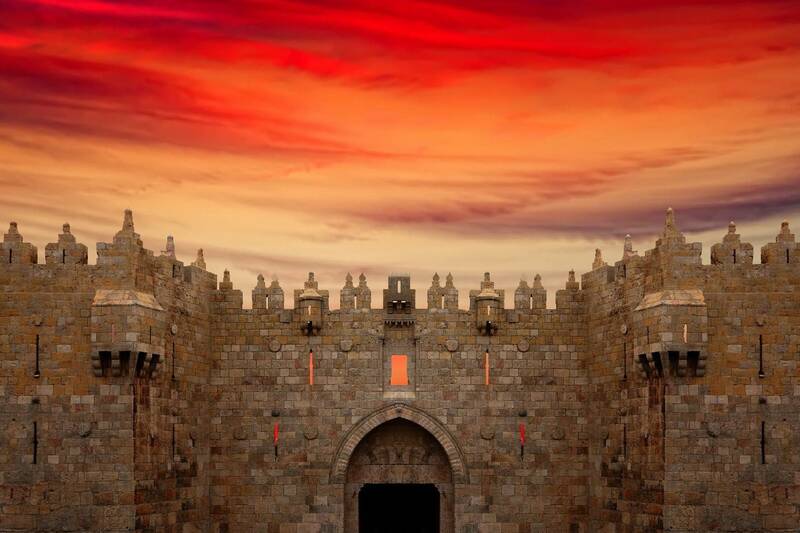 Israel is so versatile that experiences unfold at soul level. While words cannot describe the calm that stems out of silent prayers in Mystical Jerusalem, Tel Aviv is where wild nights are not hard to come by, whereas Dead Sea is where floating comes natural (where you can practically sit or lie down on the surface and read a book) and where the mineral rich black mud is used for Therapeutic and cosmetic treatments. From the spiritual to the cleansing to the upliftment of soul is what Israel is about. Let’s talk about 5 experiences I had during my trip to Israel to places that excites every traveler including me: The Dead Sea, Jerusalem, Tel Aviv and more. 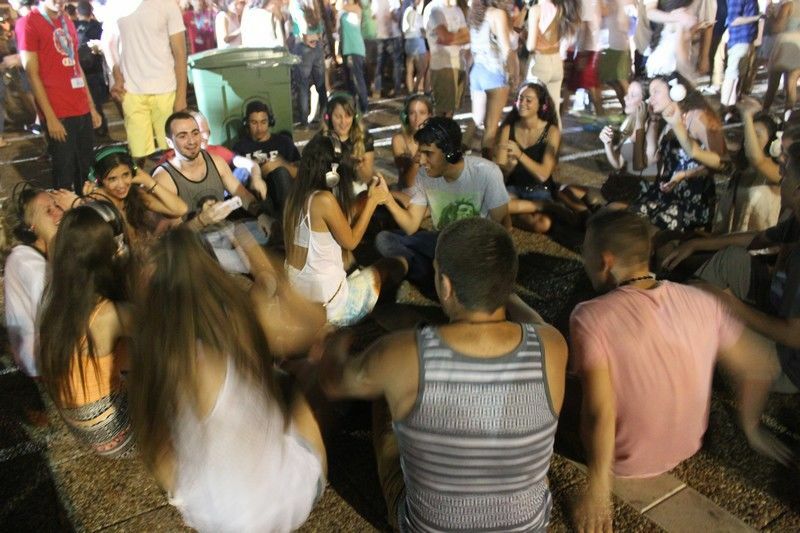 1) Tel Aviv: Pubs can be found all around Tel Aviv and 'morning out’ parties (the ones that run from midnight till mornings) calls for the endless spirit of Tel Aviv. 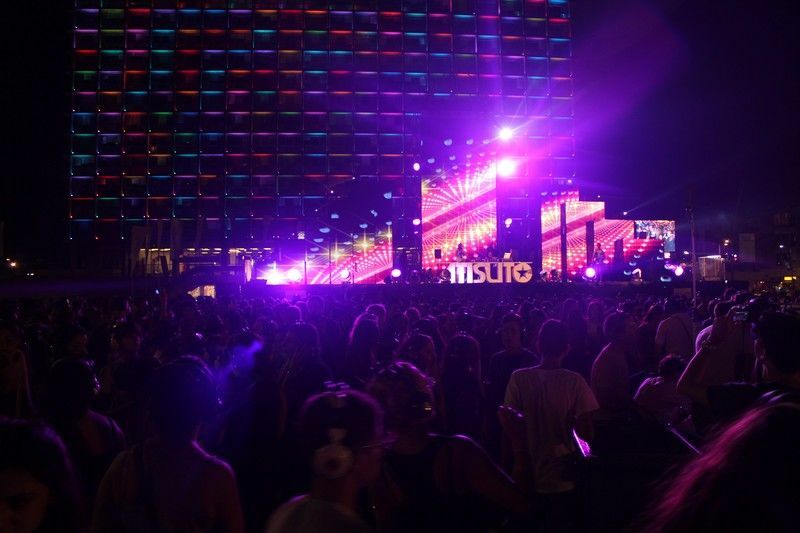 When it comes to nightlife, this city stands out, else in which city would you think of dancing on the sands of marina in a random beach party or enjoying the world’s largest headphone party at Rabin Square like I did? 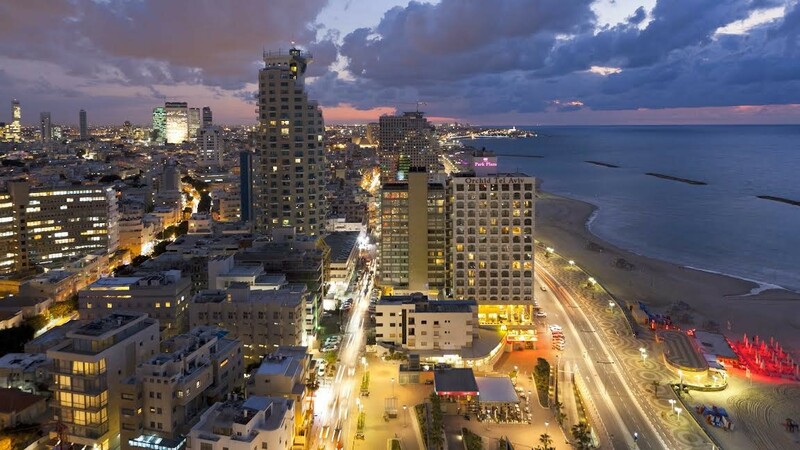 If you are a night owl, a meandering soul, always full of energy, dynamic or a lover of the good life, the city of Tel Aviv consisting of young and beautiful people is made for you. Walk down the Tel Aviv promenade or explore the culture of Tel Aviv Jaffa that contains the famous stories of heritage of Israel. 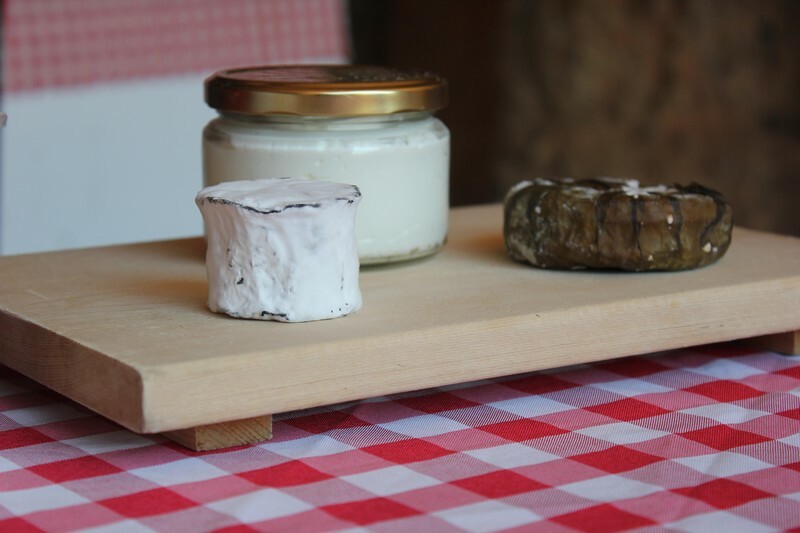 Walk around the artist’s quarter and get souvenirs back from Jaffa Flea market. 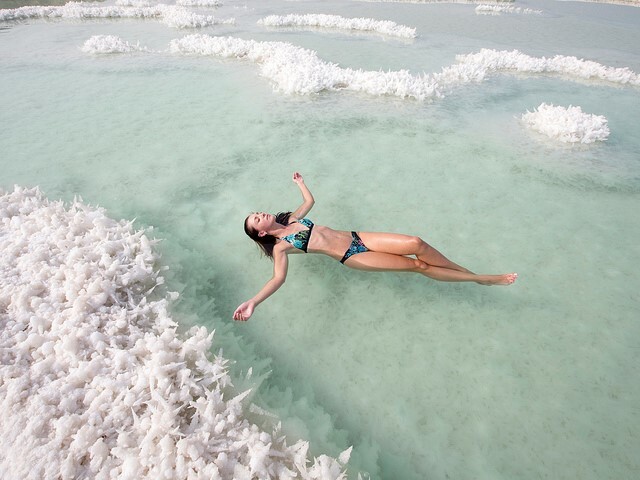 2) The Dead Sea: Ever fancied reading a book naturally floating on water with no effort. A non - swimmer, no problem. Dead Sea is the lowest point on earth at 1407 feet below sea level also known as one of the 7 wonders of the world. 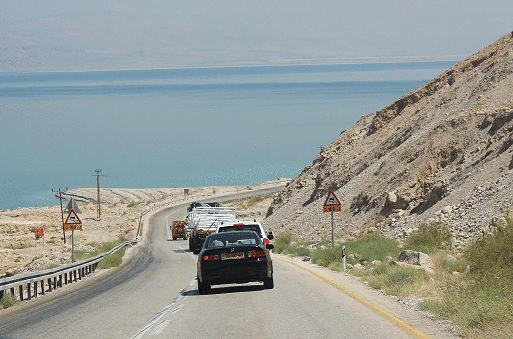 The Dead Sea first of all is not a sea, but heavily saline lake, the water is so buoyant that one tends to float. Why is it called Dead Sea? Because no fish, birds or plants can survive in its high-saline environment. Along the shores, salt buildup collects in rocky ridges, peaks and towers. Just be sure to not immerse your eyes in the water, the salt in the eyes really does hurt. 3) Jerusalem is the landmark for the three biggest religions in the world - a holy place for Christians, Jews and Muslims. 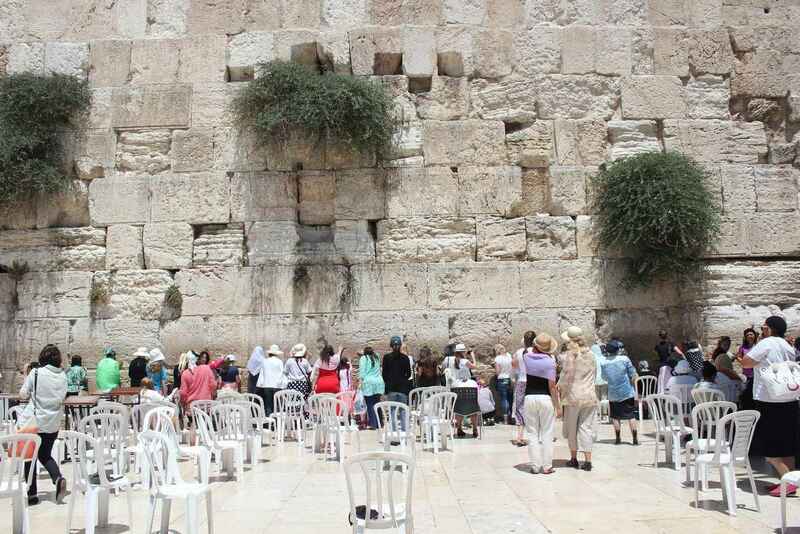 More than million people from around the world come here with their wishes in form of notes and place them at the Western Wall. As we walked through the Jerusalem Old City in Israel, we discovered Jerusalem Western Wall, Tunnels, Landmarks, Quarters, Dome of the rock, Church of Holy Sepulture, Tomb of David etc. Markets called shuk such as Mahane Yehuda Market was where we gorged on the varieties of cheese and Ethopian Halwa. At the end we enjoyed the 3D light and sound show at Kings David Tower. 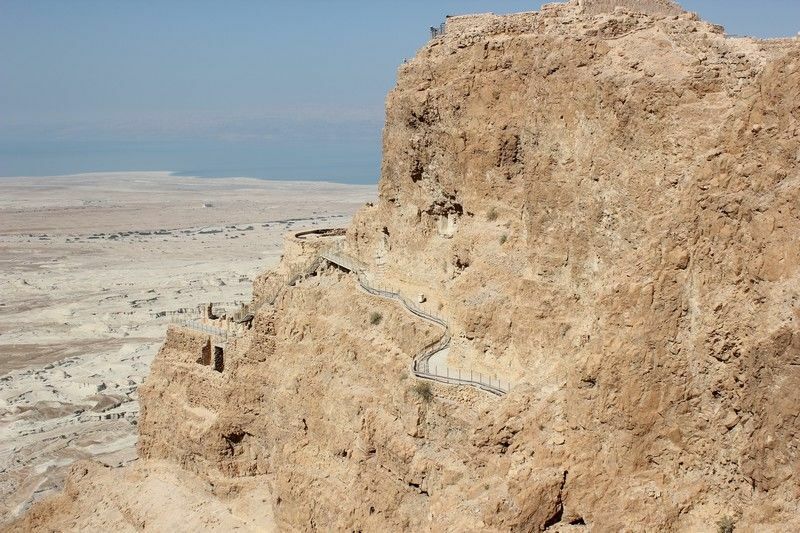 4) Masada : Overlooking the Dead Sea is the ancient fortress of Masada, a UNESCO world heritage site. We boarded the cable car for ride up to ruins of King Herod’s mountaintop fortress in Masada and last stronghold of the Jewish revolt against the Romans. On one side you would see the snake path where many people walk up the mountains exhausted. 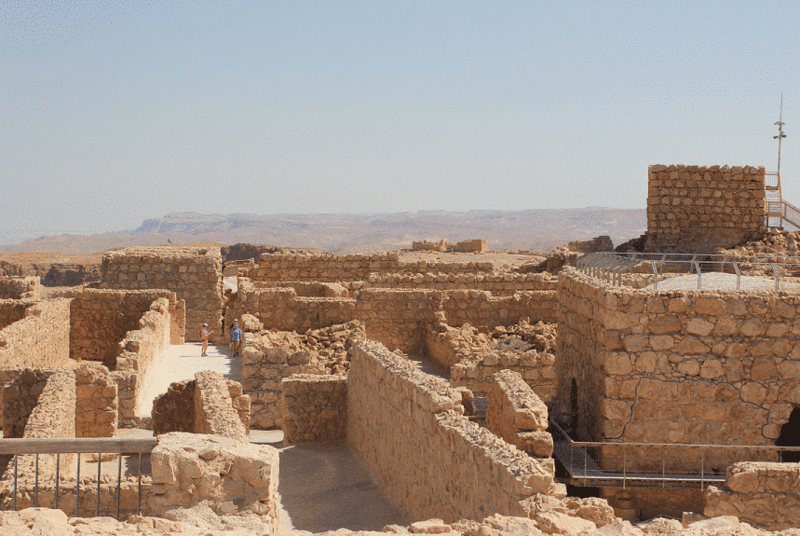 The ancient fortress of Masada had massive stores, efficient water system that had captured every drop of rain and funneled into huge water stores beneath the earth using it for drinking and agriculture and hot bath system. The view from all the angles down are gorgeous. In a place called Qumran, which is about an hour away from Masada , is where the dead sea scrolls (the oldest biblical texts) were discovered in caves by the Bedouins. The scrolls are now on display in a specially constructed museum called the Shrine of the Book on the grounds of the Israel Museum. 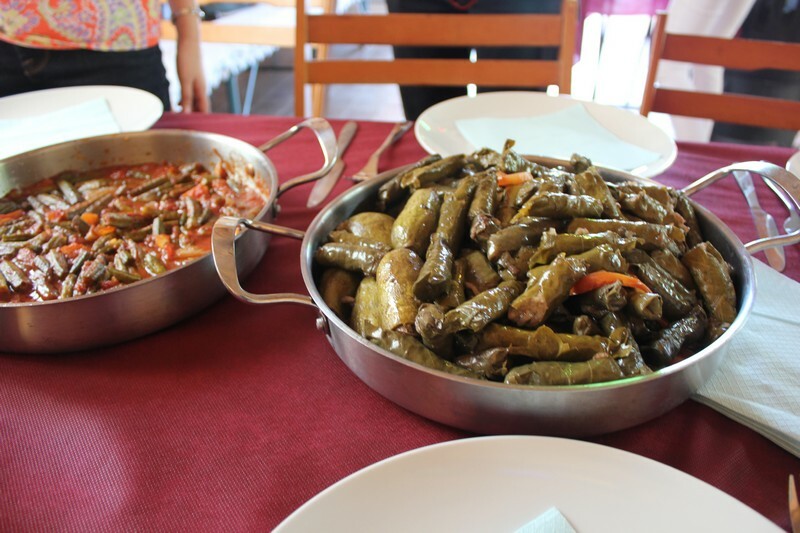 5)Food and Culinary Adventures: With plenty to eat, the Israeli Cuisine is fusion adopted from different cultures mostly comprising of Middle eastern and Mediterranean tastes being widely popular. Vegetarian? No problem. 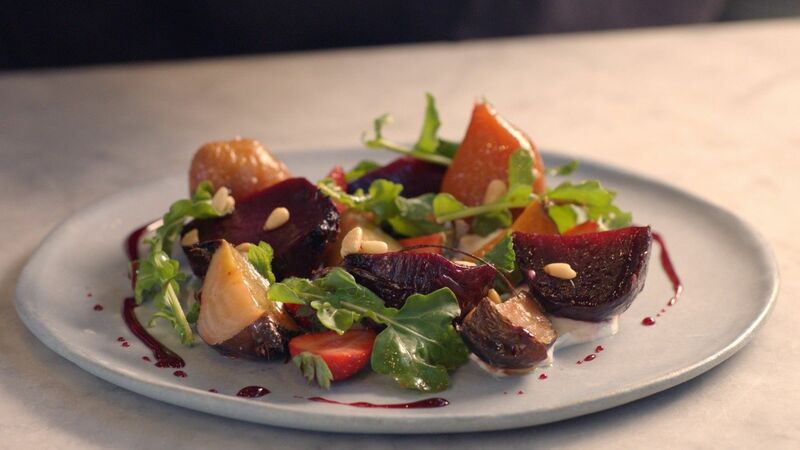 Some of the best places we had food were Bertie Restaurant Tel Aviv, Messa Restaurant Tel Aviv, Chakra restaurant Jerusalem, Mahane Yehuda Restaurant Jerusalem, Mitzpe Hayamim Galilee. 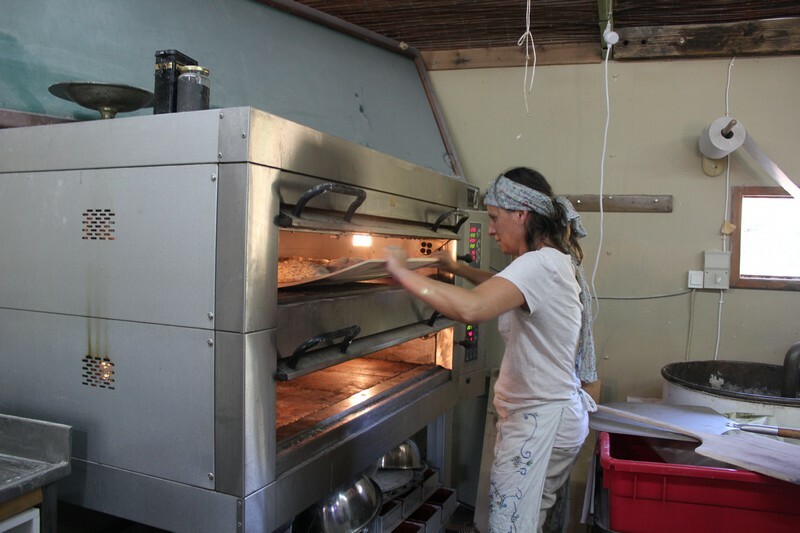 To make our culinary experience even better, we indulged in a little Israeli lifestyle by learning how to cook Jewish Food at Galileat, toured Mitzpe hayamim organic farm, visited Tmarim Plus - the Dates Factory Store, Shay Zeltzer’s Goat Cheese Farm, Tzora Vineyard for wine tasting and Aela Valley for bread making workshop. No wonder it’s slowly becoming a bit hit with new age Indian Travelers looking for more. Have you been to Israel yet?